46 Pine Hill Avenue has great location in a wonderful neighborhood. 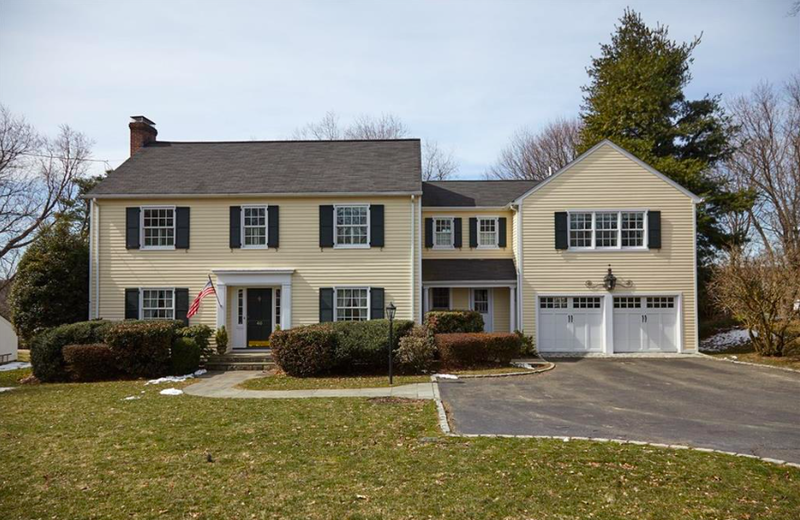 This expanded Colonial is located on one of the most desirable streets in East Norwalk. This home is Convenient to the Beach, Shorehaven Golf Club, Shore & Country Club, marina and East Norwalk train station. It features approximately 4,000 sq. ft. 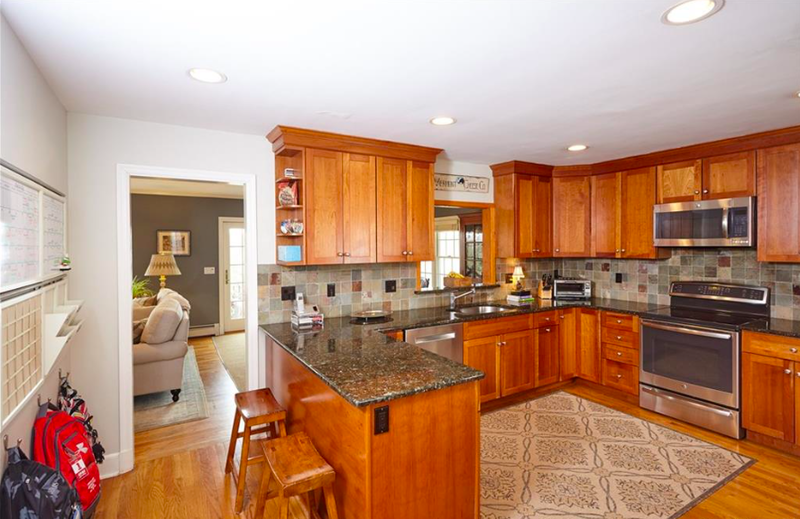 The main level of 46 Pine Hill Avenue includes an Eat in kitchen, large Family Room, Living Room with fireplace, formal Dining Room, Office with built-in shelves & desk tops and additional half bath. 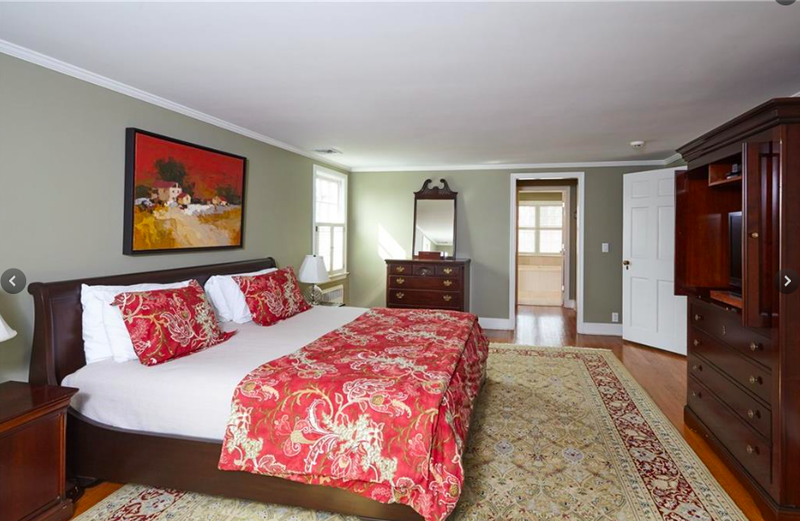 The Master Suite in 46 Pine Hill Avenue includes his & hers walk in cedar closets, large bath with double vanity, soak-in tub and large glass door shower. The newer wing includes 2 spacious bedrooms with full bath and access to the second floor deck. There is room for a possible Master Bedroom Expansion. There is an additional spacious bedroom and full bath on the 2nd floor. The finished walk up 3rd level provides In-Law/Au Pair bedroom or playroom. The large, unfinished basement provides a ton a possibility for even more living space. Additional amenities include central air, generator system, sprinkler system and 2nd floor laundry. This home also has a lounge on the second floor deck with an overview of the beautifully landscaped .46 acres with spacious blue stone patio & veranda. There is an attached two car garage and large paved driveway. This home includes a newly remodeled 1/2 bath, installed new carpet in lower level and refinished 1st floor hardwood floors. You will fall in love with this home- all you need to do is move in and enjoy. For more information about this listing, check out this page or get in touch with Antonio Stella at (203)219-0839. If you want to know more about homes for sale in Norwalk, CT, visit this page.